lightweight design, Inox Systems’ corrugated stainless steel pipes provide a number of advantages when compared with conventional applications. 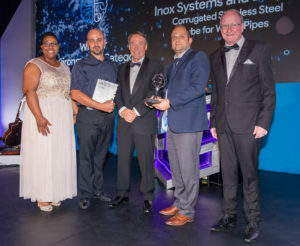 Both self-cleanable and energy efficient, Inox Systems delivers a greener and lower lifecycle cost to industry and is set to expand its range to include a gas application once safety specifications have been tested. ensure an extended service life. One of the key strengths of these pipes is that they’re locally manufactured from corrosive resistance 304L and 316L stainless steel. 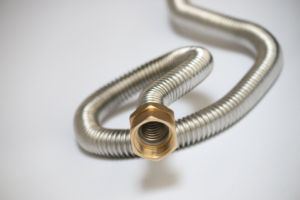 This means the flexible corrugated pipes require fewer connections and fittings reducing the risk of leaks. They are able to maintain high operational pressures and a wide range of temperatures from freezing to 100°C≤ at 1000kPa≤ with very minor changes to their fittings, making it competitive with copper and plastics pipes in terms of costs, lifespan and reliability. 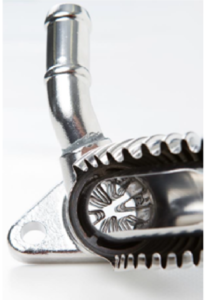 Inox’s flexible connectors are also used to transfer a wide range of fluids, including gaseous fluids, such as air, steam and gases, and liquids, such as water, oils and chemicals. Following international training of South African artisans, Easyflex is now specified and manufactured locally by Inox Systems. Easy to install, it requires neither joints nor soldering, or special tools or fittings and is lightweight, compact and easy to transport. 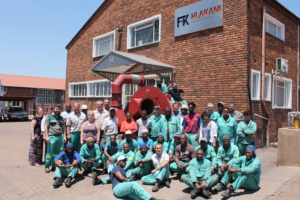 Selected by state owned enterprise Eskom to engineer their first OEM (original equipment manufacturer) design, specialist engineering house Hlakani Engineering Services has produced new low-NOx PF burners for Camden Power Station, which combust cleaner and emit gasses that are not harmful to the environment. With 314 stainless steel integral to the design of the burners due to their temperature properties, Eskom has been able to realise optimised combustion of fossil fuel gasses on the environment, taking it forward in reducing impact and protecting the environment. stations, Tutuka, Majuba and Matla Power Stations soon set to be equipped with this new technology. 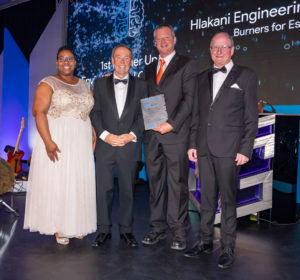 Hlakani Engineering Services’ specialist knowledge in the fabrication of these burners is unique to South Africa and places them as a strong contender in the bid to secure the additional work. 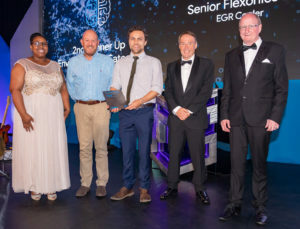 Delivering energy efficiency for the automotive sector, Senior Flexonics SA has developed a world-class Exhaust Gas Recirculation (EGR) cooler for automotive applications critical in controlling and reducing automotive emissions while simultaneously delivering fuel savings. Managing the manufacturing design and fabrication process made possible through Vacuum Brazing technology, Senior Flexonics produces more than 13 000 EGR coolers for export to Europe per annum, which are integral to the recirculation of exhaust gases back into the engine to decrease cylinder temperatures and NOX emissions which produce smog. Internationally audited and approved for their quality outputs, Senior Flexonics SA offers its customers design innovation and component cost-effectiveness for improved environmental footprints. 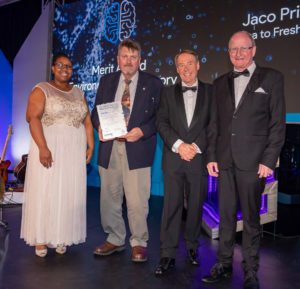 Visionary design and implementation by Jaco Prinsloo of MSI through his Sea to Fresh Project, which harvests polluted water for purification and consumption, promises developments in water savings and opportunities for employment. 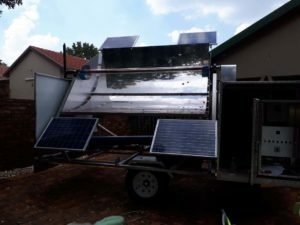 Manufactured from ferritic stainless steel to contain expenses yet still ensure a quality product with an extended lifespan, Prinsloo’s portable water recycling plant uses solar energy and a programmable logic controller (PLC) to harvest polluted or salt water for purification for human consumption or use within agricultural communities. The project promises further potential for creating work opportunities within communities. 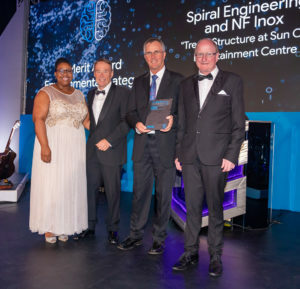 Spiral Engineering’s towering stainless steel tree structures at Sun City Entertainment Centre not only bring a green, eco-friendly element to the venues enclosed interior, they also encapsulate an internal self-drip watering system, utilising recycled water. Fabricated from 316 grade stainless steel, each tubular tree is designed to exacting sizes and clad with 850m2 of Jakob Rope Systems Webnet, assembled to precise fabrication tolerances to support live plants watered through self-drip plant trays. Any excess water drains into water reservoirs within each column support and is recycled up the structure for release back into the plant trays. 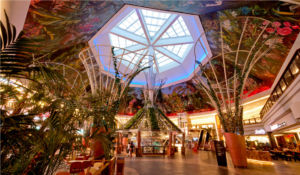 Colourful lighting also features across the tree structures for a light experience.